Come celebrate St. Patrick’s Day with us! With harp and uilleann bagpipes, the iconic instruments of Ireland, Hilari Farrington & Benedict Koehler will take you on a tour of the Irish Otherworld through music, folk customs, and stories. 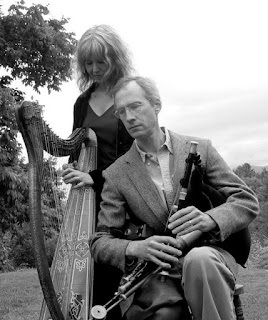 This husband and wife team are well-known across North America as performers and teachers of Irish music. Benedict is one of the world’s foremost makers of the uilleann bagpipes. Their East Montpelier home is a noted gathering place for traditional musicians from around the world.